Honoring the timeless spirit of an adventurer, the Prospector is ready to carry precious metals and raw ore to fortune seekers everywhere. 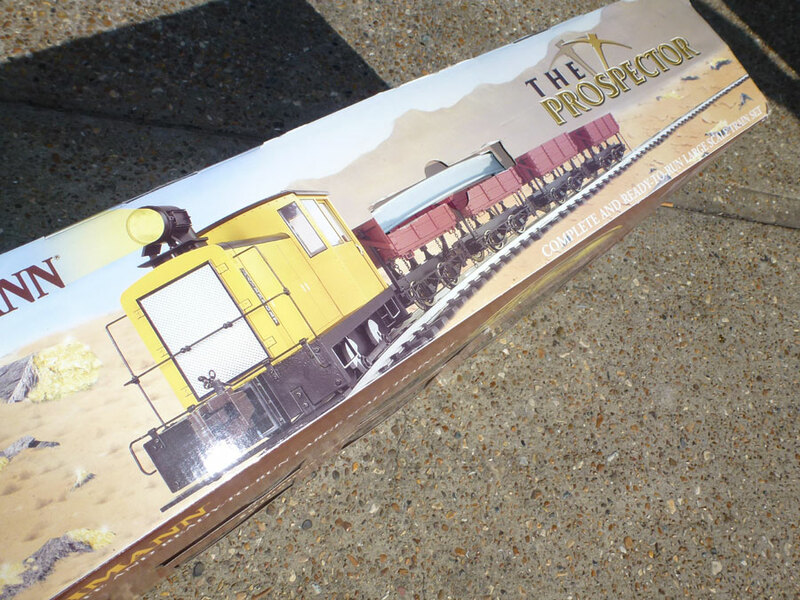 This ready-to-run electric train set comes complete with a 1:20.3 scale Davenport 0-4-0 gas mechanical locomotive with operating headlight and smoke, four side-dump ore cars, 5'4" x 4'3" Originally woulf have featured an oval of track (14 pieces), However we have not yet checked to see if all of these are present. With power pack and speed controller this set comes complete with illustrated instruction manual, and DVD-format video instructions. 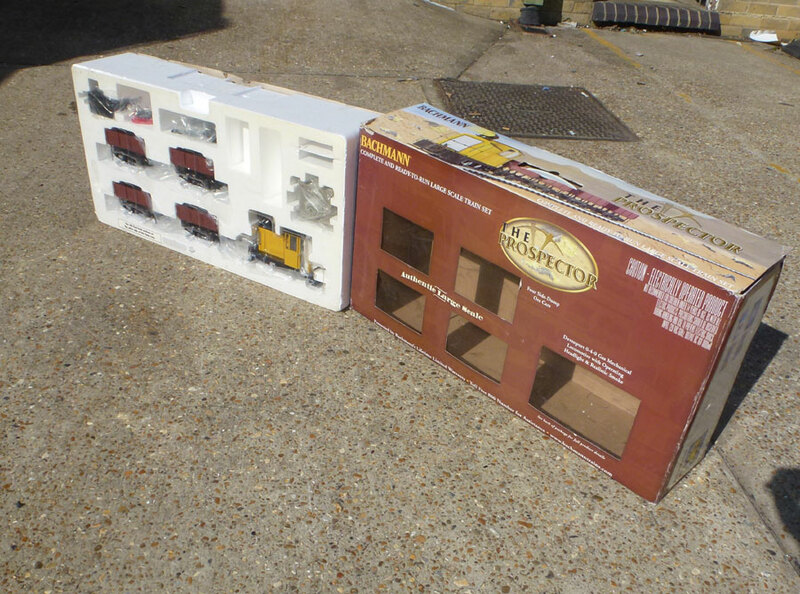 A lovely looking set in Bachmanns 'Large Scale' that originally retailed for $425. 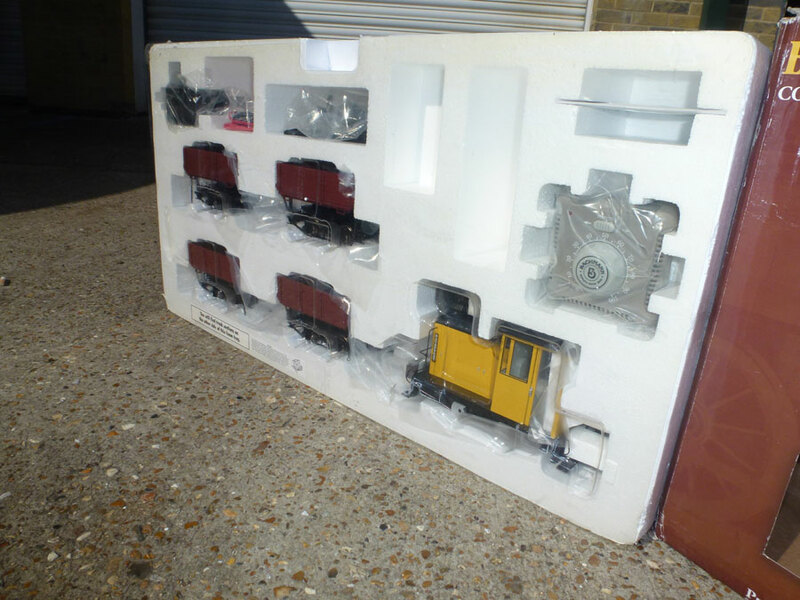 All appears to be in lovely condition, with original box and packaging.